A musical tribute to veterans through beautiful Americana music! Save the date for two fantastic concerts. 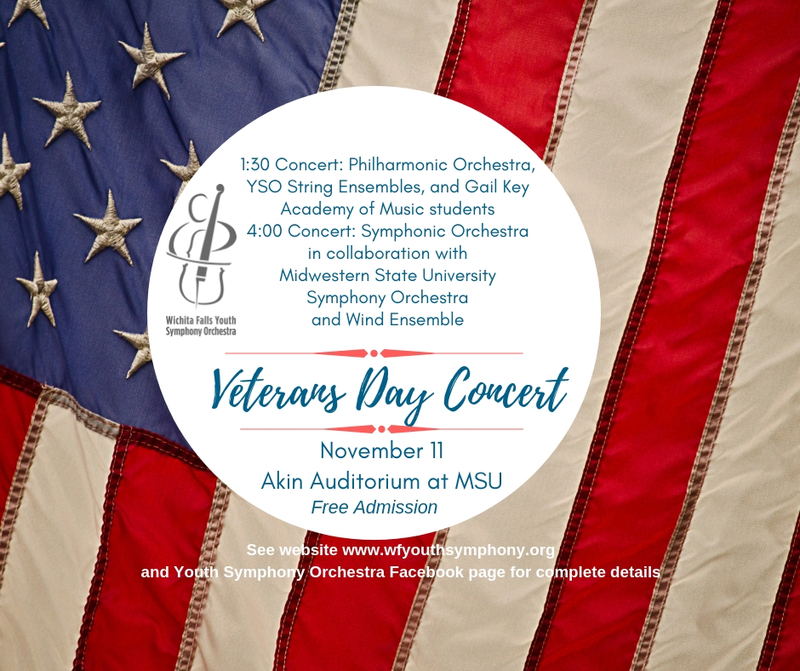 At 4:00, the Symphonic Orchestra under the direction of Dr. Susan Harvey wows with the MSU’s Symphony Orchestra and Wind Ensemble, conducted by Dr. Matt Luttrell. 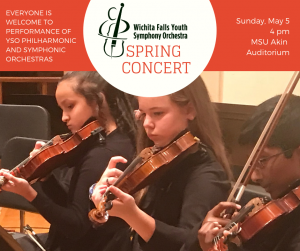 Two concerts, one fabulous day of music! The YSO is grateful to our 2018-19 Concert Sponsors for making this event possible: Advantage Real Estate, First National Bank of Wichita Falls, Hearing Aid Express Texas, Dr. Don Heyen, DDS, Rolling Meadows, Secord and Lebow Architects.